Natalia Gantimurova, Miss Russia, did not make the top 16 at Miss Universe 2011. Ouch! A Ukrainian Gestapo goon pulls down the pants of a helpless FEMEN protester for a little peek at her anatomy while dragging her down from the roof of a vehicle as she heroically protested the clearly illegal prosecution of Yulia Tymoshenko in Kiev last week. What we are witnessing these days in Ukraine is truly one of the most astounding developments in the modern history of the region. When Victor Yanukovich was elected president of Ukraine in February 2010 over rival Yulia Tymoshenko, many Russophiles may have thought it was a big win for Russia. But recent events indicate it may become one of Russia’s biggest nightmares. 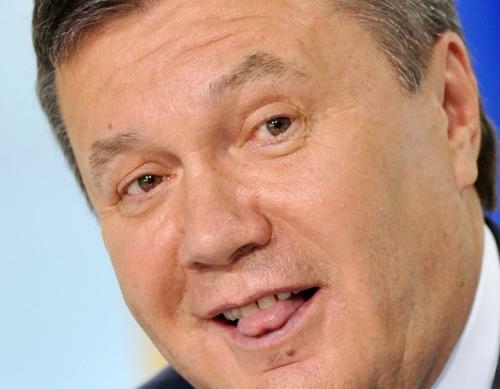 On the surface, Yanukovich’s sensational arrest and prosecution of Tymoshenko following his election may have seemed like an aggressive move to silence a tough critic of the Moscow Kremlin. Looking deeper, however, it’s anything but that. There’s no love lost between Europe and Ukraine’s ruling regime — or certainly between the Western press and Kiev. Indeed, Ukrainian President Viktor Yanukovich, who unseated the pro-Western leaders of the Orange Revolution, is commonly depicted outside his country as an oppressive and reflexively pro-Russian figure. But while there’s certainly something to this unflattering characterization, there’s a bit more to the man — and a lot more happening in Ukraine than the authoritarian picture most commentators paint. An “extremely significant segment” of ethnic Russians in Western Ukraine, particularly among the younger generation, regularly vote for pro-Ukrainian parties, either because of “nationalist propaganda” or because they hope to live “‘in Europe’” rather than to maintain “ties with their historical Motherland – Russia,” according to a Russian analyst. President Dmitry Medvedev’s visit to Ukraine this week is a continuation of the weekly meetings between the Russian government and the new leadership in Kiev at either a presidential or prime ministerial level since Ukrainian President Viktor Yanukovych’s election in February. The series of high-level meetings don’t appear to confirm Ukraine’s initial intent to establish a balanced foreign policy between Russia and the West. After years of political crises and instability in Ukraine, the West greeted Yanukovych with a strong desire to believe his promise of bringing stability and reforms. Ukraine fatigue was replaced by wishful thinking. As many predicted it would do after Russia’s 2008 annexation of Ossetia and Abkhazia, it appears Russian success with aggression in Georgia has induced it to turn its eye toward an even juicier tidbit known, for now, as Ukraine. Last Friday, in one of the most fully deranged displays by a world leader in recent memory, Russian “prime minister” Vladimir Putin spontaneously announced at a press conference in front of his Ukrainian counterpart in Moscow that he thought it would be a good idea if Russia’s giant natural gas monopoly, Gazprom, acquired its Ukrainian counterpart Naftogaz lock, stock and gas pipelines. What was so astounding was not that Putin would entertain such thoughts, or even that he would say them (most of Russian public supports neo-Soviet aggression against Ukraine and Georgia), but that he would publicly announce such a scheme without giving any advance warning to his diplomatic peer, Ukrainian Prime Minister Mykola Azarov, who could do nothing but stammer in diplomatese that Putin had “expressed it in an impromptu way.” It’s simply unheard of for a the leader of a major nation to behave this way. Which means, of course, that it’s not the least bit surprising to find the Russians doing it.